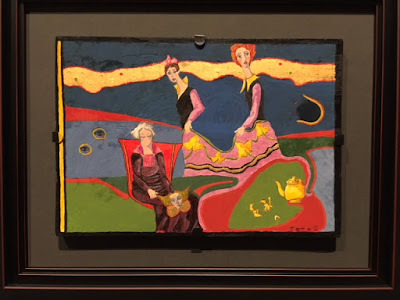 The Delaware Art Museum in Wilmington, DE will include my painting above in their Centennial Juried Exhibition Oct. 20 - Jan. 13, 2013. 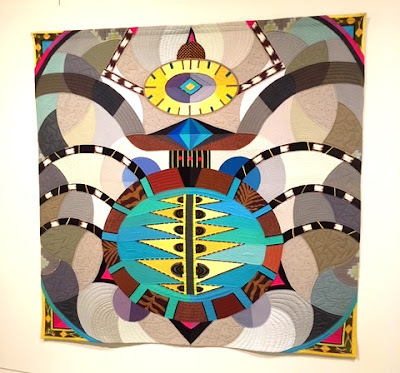 To accompany the show, the Museum has invited three of the included artists to teach studio workshops as part of their Regional Concepts series of classes. 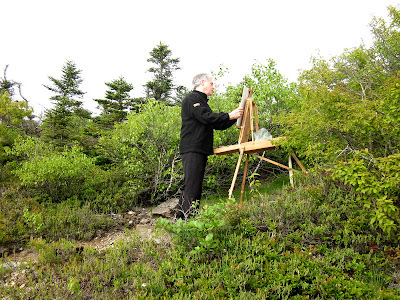 They've asked me to teach a landscape drawing and painting workshop on the afternoon of Sunday, Oct. 21. Sometimes I'm asked if I think art can be taught. I feel that question turns the whole art experience on its head. All of us living have deep emotional responses to what goes on around us and within us- and that right there is the raw material of art. Everyone has something to say. Studying painting or drawing puts some extra tools in your bag to help you tell others what you've seen and how you've felt. Not everyone is a Rembrandt. But give anyone the materials and even just a little guidance, and then wait awhile. By the time they've done ten paintings youre going to find one or two of their canvases have something special trying to come out. Maybe it's an "accidental" shape or a wild unanticipated chord of colors. Given time, we all become expressive whether we want to or not. So in answer to the "can art be taught ?" question I say I can show people some new ways to see their own personal experience. Artists have ways of thinking and methods of proceeding that let them get a better hold of their inner world and put it into a form that can be shared. I was taught by mature artists when I was young. Now its my turn. One thing we will work on is seeing patterns in nature. 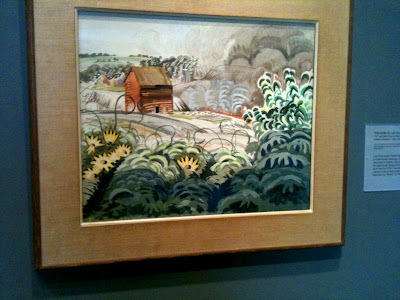 My painting The Song of All Days that's in the Centennial Juried show is a good example. At first glance you see islands silhouetted against a bright sunset. Artists have the extra responsibility to dig down beyond that first impression and find how the shapes and color can be orchestrated to heighten the effect the artist is after. In my workshop we will practice seeing beneath the surface several ways. Our goal is seeing how the forms are arranged instead of only what the forms describe. I'll present a brief slide show show and among other things, demonstrate how much easier this is when you turn a realist painting upside down, as I've done here. With the image inverted, a couple of key relationships you might not have consciously noticed jump out at you. One is the way my many horizontal rows in the water, rocks and clouds are contrasted against a long red cloud that breaks this symmetry. Another big pattern that's easier to see with the upside down version is how systematically the surface of the water has been gradated from front to back as well as from right to left. I'll explain how gradations impel the viewer's eye to move across the painting's surface (lke an ocean wave pushes you on a surfboard). After the slide talk we'll head outside (or should the weather fight us, work looking through the Museum's windows) and I'll help my students make a painting or a drawing. 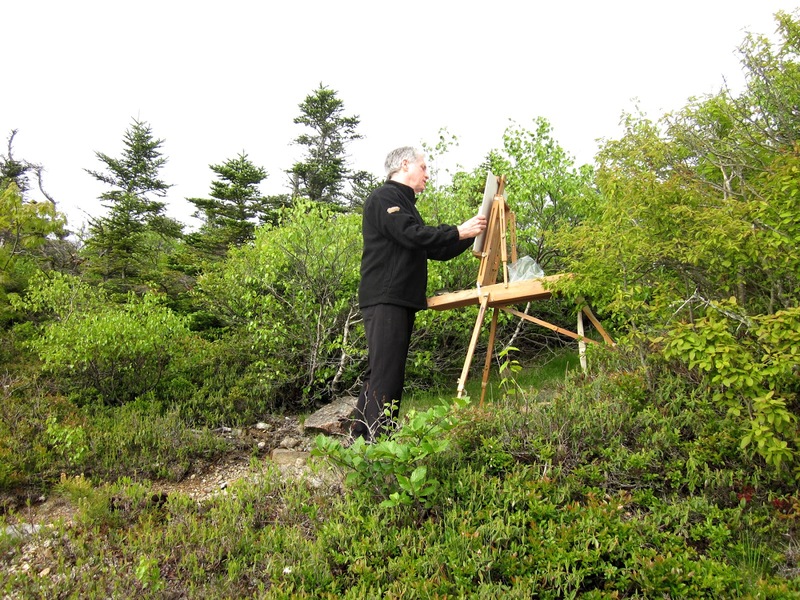 Here I am earlier this year up in Maine near the summit of Cadillac Mountain doing some of my own searching for the patterns hidden in nature. Will my landscape workshop turn my students into Rembrandts. No. But it will give them some tools to better tell people, including themselves, about who they are. P.S. Tomorrow evening (Friday, Sept. 21) Thomas Deans Fine Art in Atlanta opens their new group exhibition A Web of Artists: Friends of a Social Network. The show runs through Oct. 13, 2012 and it includes some of my oils. 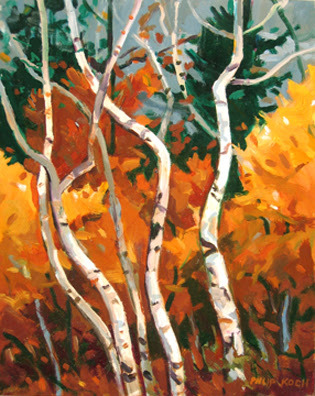 Here's one of them, The Birches of Maine, oil on panel, 15 x 12"